Kimono Duster Harajuku In Grey Fleece. Harajuku-style kimono duster detailed with black self ties down the back. Long duster cardigan lined with black interior panels along draped lapels. Loose-fit fleece robe designed with fitted sleeves in a sweeping floor length. 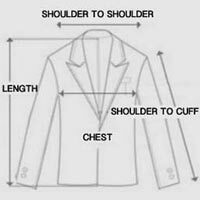 For the most customized fit, adjust the back ties to extend the shoulders and chest. Try this kimono duster for a dramatic cover up that’ll elevate your outerwear to couture heights. Model is wearing One Size. Sizes are measured in inches. For accurate measurements, check the table below.